Being able to travel at an altitude of 16 miles and cover 33 miles a minute is an unmatched achievement for a manned airplane even today, some 50 years after someone first dreamt up the Blackbird. 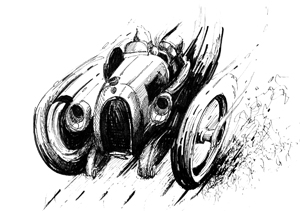 Among its many records is the fastest-ever New York–London time (1974): 1:54:56 hrs which translates to 1806.96 mph! This is an introductory text and for the benefit of the reader new to the subject, and therefore the most likely to be interested in this book, we ought to provide a few introductory remarks. Many books on the Blackbirds have been published since the 1980s and they don’t all agree on the details. Partly this is due to different approaches to research and scholarship but mostly the discrepancies stem from more and more material becoming declassified over time. The Blackbirds were a super-secret program, in fact, the first planes (single-seaters with civilian pilots) were strictly for the CIA. The writers of the early books had very limited access to technical and especially operational information. It wasn’t until 1982—15 years after CIA operations terminated—that the first photos and basic details were released. By the time Pace wrote this book, 2004, the Blackbirds had been retired for good and a large amount (but by no means still not all) of the sort of material a diligent researcher would want access to had moved into the public domain. Long story short: keep this in mind if you read this book side by side with an older one and stumble over conflicting statements. Between 2000 and 2010 more than a dozen Blackbird books came out and of those Pace’s is among the few general-overview type of books whereas most of the others focus on operational or very specific technical issues. 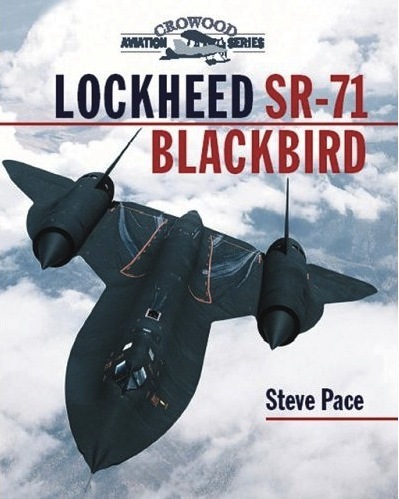 The creation of Blackbirds A-12, F-12, M-21, YF-12 and SR-71 along with their respective variants makes up the core of the book. Attention is given to ancillary subjects such as the Convair F-106 and the Falcon missile. CIA projects are covered, a hypothetical F-12B intercept scenario is described; separate chapters present mini bios of key personnel, a basic overview of SR-71 systems, the J58 engine (with diagram of inlet positions/airflow patterns) and NASA missions, and Pace also records the whereabouts of 30 surviving planes. There are several general arrangement drawings and BOTH front and rear cockpit panels are diagrammed and annotated. Bonus point: Pace does not perpetuate the oft-published fallacy that the AIM-47 missile had a nuclear warhead. Most of the photos are b/w, most are from Lockheed Martin. Many of the photos in the 8-page color section are duplicates of the b/w ones, which seems so pointless given the vast number of available photos. Among these dupes is the well-known shot of 11 Blackbirds artfully arranged on the apron at Beale AFB and it is most annoying to note that one is dated mid 1968 and the other, wrongly, Dec. 1983. 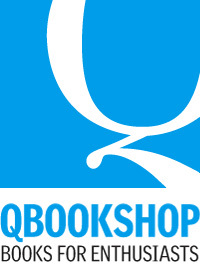 Extensive Appendices, lists of acronyms, abbreviations and codenames, Bibliography, Index. A very readable, well-written, concise history of the entire Blackbird family. Even the specialist reader would benefit from the unique-to-this book items enumerated above. 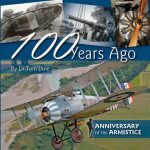 Pace has published on aero subjects since 1977, contributed to Wings, Airpower and Flight Journal magazines, and this is his 26th book.